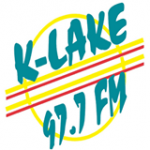 K Lake 97.7 is one of the most famous online radio station on the USA. K Lake 97.7 broadcasters believe in providing real music variety, so listeners can enjoy a vast catalogue of known and unknown tracks. K-Lake 97.7 plays the Greatest Hits of the 70s, 80’s, & and more! Keep it with K-Lake to stay in tune with your community.